Zhou S, S Collier, J Xu, F Mei, J Wang, Y Lee, AI Sedlacek, SR Springston, Y Sun, and Q Zhang. 2016. "Influences of upwind emission sources and atmospheric processing on aerosol chemistry and properties at a rural location in the Northeastern US." 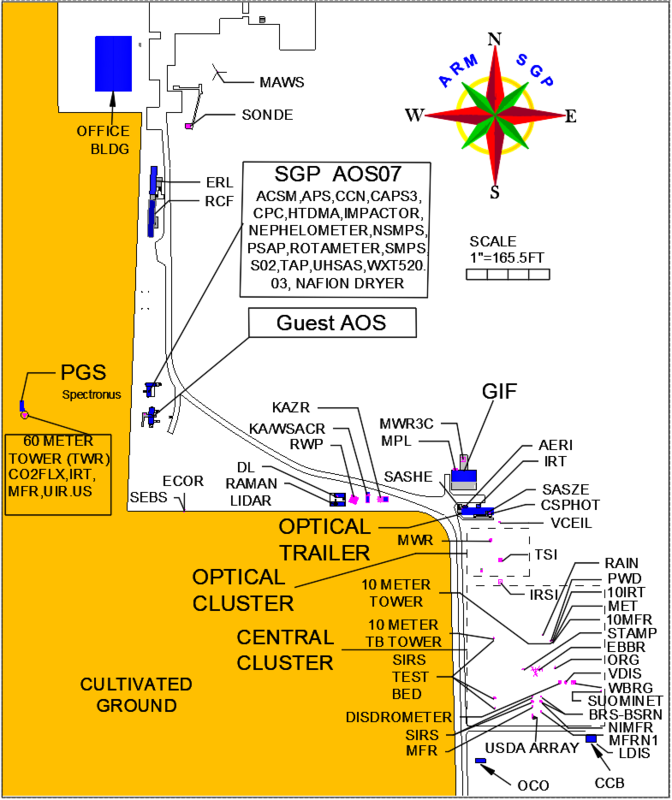 Journal of Geophysical Research: Atmospheres, 121(10), 10.1002/2015jd024568. During our study, we observed that aerosol concentration and composition at a rural site in the Northeastern U.S. were influenced strongly by upwind urban emissions. A possible reason is that anthropogenic pollutants advected from urban areas interacted with biogenic emissions in the rural region and led to a substantial enhancement of secondary organic aerosol production. A process-level understanding of SOA formation in mixed anthropogenic and biogenic emissions is necessary to accurately model the concentration and properties of aerosol particles, and thus their climate forcing, in the northeastern U.S.
Real-time measurements of aerosol and gas-phase species were carried out in the summer of 2011 at Brookhaven National Laboratory (BNL) during the DOE Aerosol Lifecycle IOP campaign. BNL was frequently downwind of emissions from the New York metropolitan area, and was exposed to various combinations of anthropogenic, biogenic, and marine emissions based on dominant wind direction. Aerosol concentration at BNL was relatively high (average = 12.6 µg m-3), with 64% of the mass being organic. Organic aerosol (OA) at BNL was overwhelmingly secondary and was composed of three main types: a semi-volatile oxygenated OA (SV-OOA) with moderate oxygen-to-carbon ratio, a highly aged low-volatility oxygenated OA (LV-OOA), and an SOA enriched with nitrogen. SV-OOA accounted for > 60% of the OA mass and was found to be substantially enhanced as a result of the interactions of transported urban emissions (e.g., from the New York metropolitan area) and regional biogenic emissions. These results suggest an important role that urban anthropogenic emissions play in affecting ambient PM concentration, compositions, and physical-chemical properties at rural areas in the Northeast U.S.
BNL is located in a forested rural area frequently downwind of emissions from the New York metropolitan area to the W and SW. This bivariate polar plot indicates that elevated SV-OOA concentrations at BNL occurred under relatively low-wind-speed conditions and in association with air flow from the W and SW. The average SV-OOA concentration was two times higher at BNL than at New York City (NYC), whereas the concentrations of regional secondary aerosol species (e.g., sulfate and LV-OOA) were comparable between the two sites.